The food and drink are excellent, the decor is very elegant and modern, power sockets are freely available and there's an outdoor terrace from which to enjoy the sunshine and view some of the most diverse traffic of any airport in the world. THIS LOUNGE IS AWESOME. 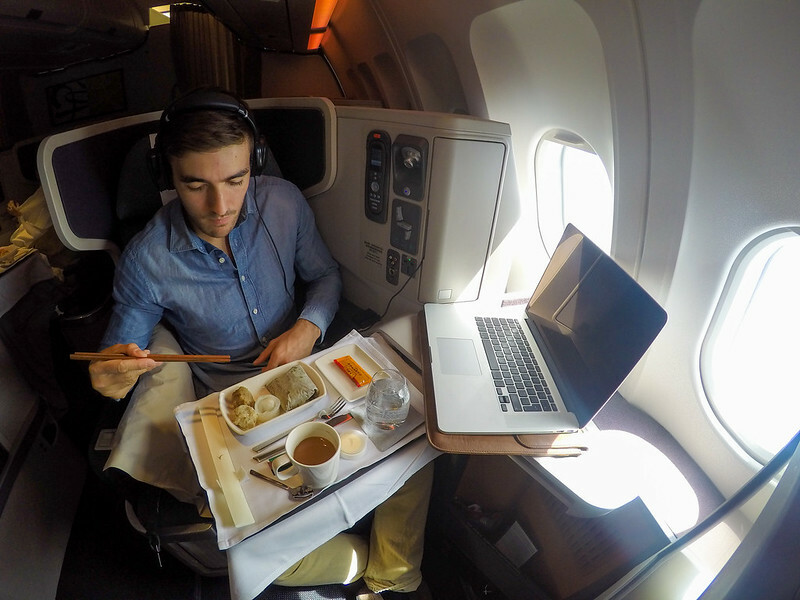 The joys of Alaska Miles: CX Business Class from ZRH to HKG for £675 one-way! For $152 this hotel was an absolute steal. The gym was fantastic, the decor throughout was very fresh and modern and the staff were all extremely friendly and accommodating. I really liked the club lounge breakfast and am sure that it would be a great place to grab a drink in the evening too. If you're staying in Long Beach this hotel is very hard to argue with! There is a lot to like about SWISS business class but there are more than enough negatives to place this in the second tier of business class products behind the likes of Qatar, Etihad and Singapore Airlines. If the cabin was all throne seats and there was dine on demand, things would be very different. For the average passenger though, ending up crammed next to a stranger by the window, with access to a lower tier of lounge, any of the three aforementioned airlines would provide a better experience when flying on their flagship long haul routes.